Amazon earned widespread praise for its plan to raise its U.S. employees' minimum wage to $15, but Wired reporter Louise Matsakis says the company has its own reasons for boosting workers' pay. 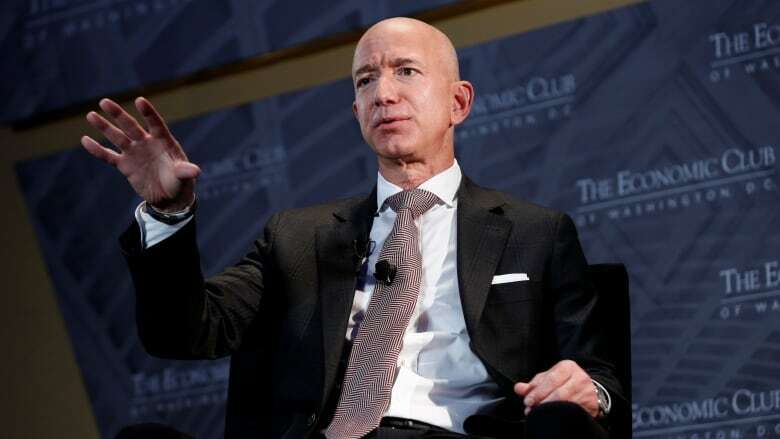 When Amazon CEO Jeff Bezos announced this week that his company will raise its U.S. employees' minimum wage to $15 an hour, some wondered if it was a genuine goodwill gesture or a self-interested business move. 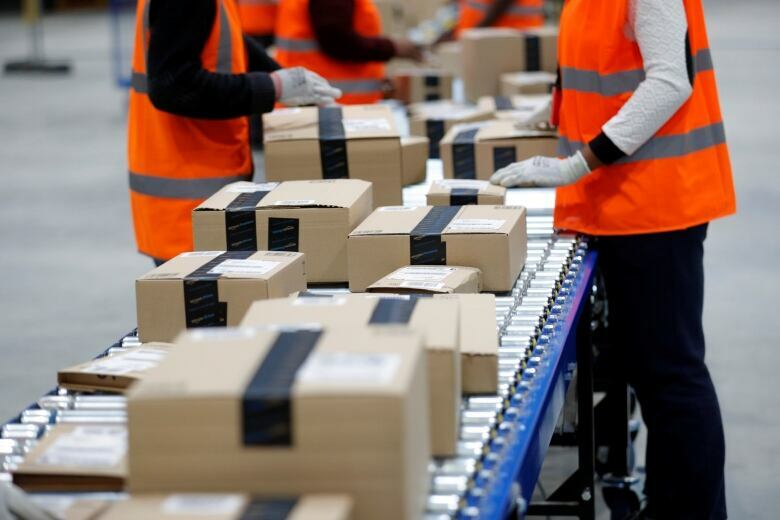 The pay raise will affect more than 250,000 regular Amazon employees in the United States, and 100,000 additional seasonal workers to be hired this winter. With the wage bump, employees will lose benefits including stock options and monthly bonuses. Amazon says that despite these changes, employees' overall compensation will still be higher than before. The announcement comes after widespread allegations of poor working conditions in Amazon warehouses in the U.S. and around the world. Louise Matsakis is a staff writer for Wired and she spoke withDay 6 guest host Rachel Giese about the move. Here's part of their conversation. Rachel Giese: Jeff Bezos has framed Amazon as a leader for raising the company's minimum wage. How much credit does he deserve for this? Louise Matsakis: He's certainly not the first major retailer to raise wages in recent years. Target is phasing in a $15 minimum wage as well that will fully go into effect by 2020. And Costco also recently raised its wage to $14 an hour. So [Amazon is] not the first company to raise their minimum wages in recent years and it's kind of unsurprising because there are so few people in the U.S. and other places looking for jobs right now, since it's a very tight labour market. RG: Why do you think Amazon made the decision to announce the wage increase when it did right at the start of October? LM: I think the historical reason is that over the summer and the spring, they faced a series of investigative reports that showed that working conditions in their warehouses, their drivers — you know, different parts of their supply chain were really unhappy. And there were a lot of reports about grueling practices: about not having enough breaks, feeling like the work was really hard, workplace accidents. And those reports were coming [from] both the U.S., the U.K., and elsewhere. There were workers striking. The other part of the equation is that in the next several months they need to hire over 100,000 seasonal workers to accommodate the holidays. RG: How competitive is it right now, to find workers during the Christmas season? LM: It's really competitive. The unemployment rate here in the U.S. just dipped below four per cent for the first time in years. There are not a lot of people looking for jobs right now. RG: There's also the news that Jeff Bezos has just overtaken Bill Gates as the world's richest man. So how much of this might also be good PR for Amazon — to look like it's a real leader for workers rights? LM: I think there's a lot of it. Amazon is a much more public-facing company than a lot of these other retail giants. They employ less people than Walmart, but they're still one of the largest employers in the country here in the U.S., and they employ a lot of people in Canada as well. But unlike some of these other retailers, Jeff Bezos is such a publicly known figure. He's a household name. Amazon is not only a retailer; they're also a tech company, they're an online platform. And I think being the richest person in the world is not doing him any favours here. You know, he's a very easy target. People know who he is and his workers know who he is, and they know how much money he has. And I think that really plays into it. RG: You mentioned some of the concerns that have been raised about conditions for workers at Amazon. So, in addition to announcing the increase to $15 an hour, did Amazon announce any other new policies to address the issues that workers had been complaining about? LM: There was no update about working conditions, which is one of the things that organizers are talking about — that they still think that they need a union or collective organizing in order to address these other issues. All of this is still in Amazon's control right now. They get to choose how much they pay their workers. While this is a good move and it's going to help [the employees], it's not necessarily evidence of the fact that they always listen to what workers want. RG: I feel like the other thing that's hanging over this is the question of automation. We know that Amazon is already replacing some warehouse workers with robotic systems. So how does that figure into the company's equation? LM: I think what investors are thinking about right now is: how are they going to pay for this pay increase? And I promise you that Amazon would have not done this unless they knew how they were going to pay for it. Their bottom line is their priority, and automation is definitely something they're thinking about. In the long term, they want their warehouses to have less staff. They want this to be an incredibly well-oiled system that's mostly automated, and I think they're definitely thinking about that here. RG: And yet Bernie Sanders called Amazon's decision "a shot heard around the world." 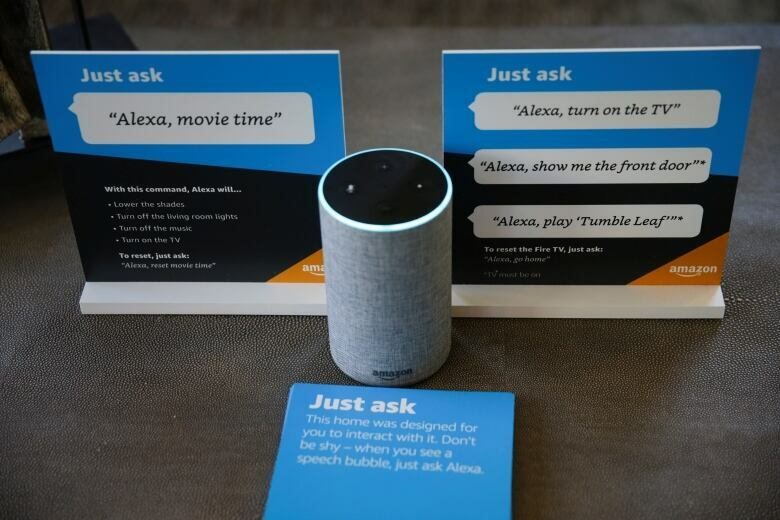 Do you think this move is going to push other corporations to follow Amazon's lead here? LM: One thing that we haven't talked about yet is that Amazon also announced that they were going to lobby at the federal level to increase the minimum wage, which is currently $7.25 in the United States. They didn't say how much they want to raise it to. They didn't necessarily say [that] they want it to be $15 an hour. But Amazon did say they want to push other companies to also raise the wage, which would also increase labour costs for their competitors potentially, so there's not necessarily a totally kind-hearted incentive there for them. But I do think that this is going to be something that lawmakers can look to and say, "Hey, if one of the most innovative companies in the world raised their wages like this, why can't you?" Q&A edited for length and clarity. To hear the full interview with Louise Matsakis, download our podcast or click the 'Listen' button at the top of this page.